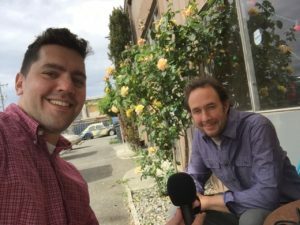 Today’s episode of Seattle Growth Podcast gives you rare insight into the minds of real estate developers as they reshape Seattle’s streets and skyline. As you look ahead to where you live or might live, these interviews give you insight into the kinds of neighborhoods and properties that attract real estate developers. You will get an inside look into their development process and how you can influence it. You will hear from Liz Dunn of Dunn + Hobbes LLC, which specializes in the adaptive reuse of existing buildings as well as the construction of new urban infill projects. You will hear from Joe Ferguson of Lake Union Partners, which specializes in residential mixed-use and commercial projects. These two interviews give you examples of the variety of developers reshaping the physical landscape of our city. Can Seattle Become a Hockey Town? Can Seattle become a hockey town? 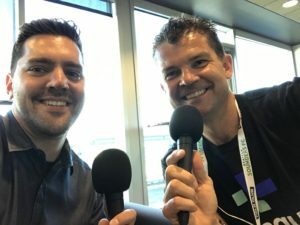 If the highest level of professional hockey calls Seattle home, what would that mean to the Seattle residents who do not care about the sport? 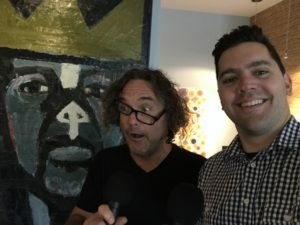 Listen to today’s episode of Seattle Growth Podcast to find out. 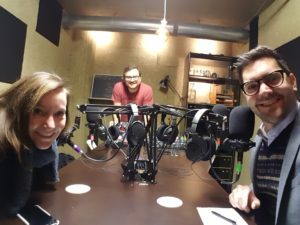 Seattle Growth Podcast is an exploration of what the city’s rapid growth and transformation mean to residents, businesses, and city leaders. As a hallmark of that growth, multiple groups are vying to invest roughly half a billion dollars into our community to build a world class sports and entertainment arena. Oak View Group is hoping to renovate Seattle Center’s Key Arena. Chris Hansen and his investment team is hoping to build a private arena in Seattle’s Sodo neighborhood. City council will soon be deciding which proposal if any to proceed with. Much of the attention for this arena has been on bringing back the Supersonics, a professional basketball franchise the city lost in 2008. 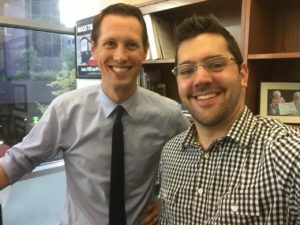 In fact, Seattle Growth Podcast devoted an entire season to examining what professional basketball would mean to our growing city. But often overlooked in this discussion is the fact that the National Hockey League (NHL) may grant a franchise to Seattle if a modern arena is developed in the city. 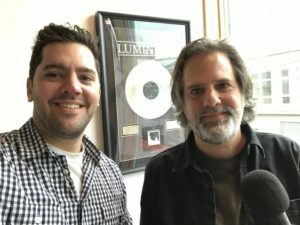 Today’s episode brings you several perspectives on the existing hockey community in Seattle and what hockey could mean to all residents, sports fans and non-sports fans alike. Executive Director of the Seattle Sports Commission Ralph Morton describes what Seattle’s economic development means for a possible hockey franchise and what a hockey franchise can mean for Seattle’s further economic development. He is joined in the interview by Kevin Ticen, director of marketing and communications. 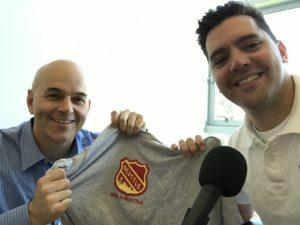 John Barr, a hockey enthusiast behind the NHL to Seattle fan movement, shares insight into the existing hockey community clamoring for the NHL. Vanessa Kirk-Briley, from Ronald McDonald House Charities explains how professional hockey can have a significant impact on Seattle residents in need. Todd Humphrey, a former professional hockey player who served on the Mayor’s Advisory panel that weighed two proposals for a Key Arena remodel, weighs in on the ongoing arena debate. 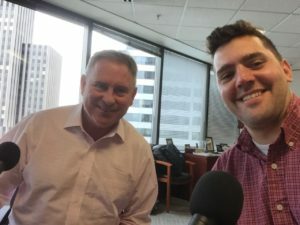 Today’s special episode of Seattle Growth Podcast focuses on the future of Key Arena. This issue has become more relevant as multiple groups are hoping to bring professional basketball and hockey back to Seattle. Key Arena played home to the basketball franchise Seattle Supersonics until 2008, when the team moved to Oklahoma City. In its current state, the arena does not meet the expectations of the NBA or the NHL. There are three proposals to develop an NBA-ready arena that are being considered by City Council. Two groups have proposed to renovate Key Arena, while one group, led by Chris Hansen, is proposing to develop a sports and entertainment complex in the SODO neighborhood. The issue is now two-fold: Which proposal will the city support for the purpose of attracting professional basketball and hockey teams? And secondly, if Key Arena is not chosen for that purpose, what will the city do with that public asset? 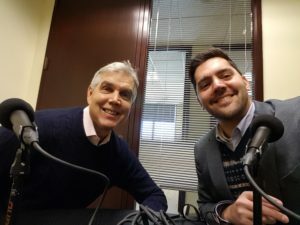 In this episode, City Councilmember Rob Johnson describes the process by which the proposals will be evaluated and offers insight into the pros and cons of each. Developer Sam Farrazaino offers an alternative vision for repurposing Key Arena should a development in SODO becomes the home of professional arena sports. 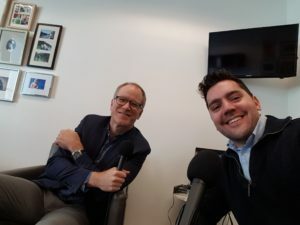 This episode gives you a better understanding of how public resources may be deployed in bringing the NBA and NHL to Seattle and in improving Seattle Center. Johnson also provides an explanation of the process by which the arena will be chosen (16:29). 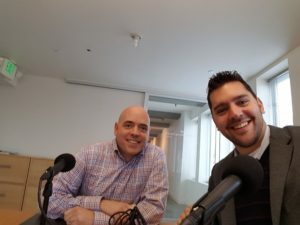 If the SODO proposal is approved, it appears from episode 8 of Seattle Growth Podcast that the mayor’s office believes the city can accommodate only one sports and entertainment complex. This means the city might need to find another use for its public asset. 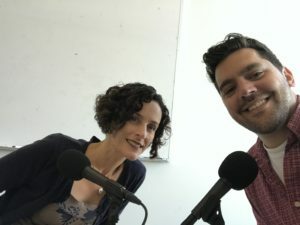 To stimulate creative thinking about alternative futures for Seattle’ Center’s Key Arena, I reached out to a Seattle Growth Podcast guest from Season 1, artist-turned-developer Sam Farrazaino. Farrazaino shares what inspired the idea (32:15). He provides a rough estimate of what it would cost (37:35) and describes how the project could earn back the investment (38:10) with more specifics on how to possibly make the numbers work at 48:42. What could does he believe this mean to Seattle Center (42:58) and to the city (52:05)? Listen to find out. A local investment group led by Chris Hansen has a proposal to build an NBA arena in Seattle’s SoDo neighborhood. Their proposal has the potential to impact you and life in this city. You will learn what the SoDo arena group needs from the city to proceed and what they hope a return of the Sonics will mean to Seattle. Pete Nordstrom, co-president of Nordstrom, describes what basketball has meant to him and how his experience as a team owner influences his efforts to bring the Sonics back to Seattle. Wally Walker, former Sonics player and team executive, shares details of the proposal and what it was like to be a player on the first professional sports team to bring a championship to Seattle. It is time for us to decide as a people : what do we want for this city as it undergoes a transformation? In today’s episode you are going to hear what the highest leadership at the city and state levels want. 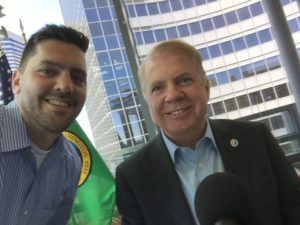 You will hear an in-depth interview with Seattle Mayor Ed Murray. You will also hear an in-depth interview with a member of Governor Jay Inslee’s executive cabinet, Brian Bonlender. 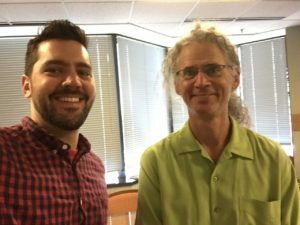 Are Seattle’s public utilities prepared for the influx of people? Hear from Ray Hoffman, former Director of Seattle Public Utilities, which oversees water, sewage, and solid waste management. In an in-depth interview, he shares which utilities are ready to expand with demand and which utilities concern him. Hear from Larry Weis, CEO of Seattle City Light, share the impact of new development on electricity usage. He also shares what changes have been made in reaction to the population growth and his vision for the future. Through this episode you will have a better understanding of how growth impacts the public utilities and the scalability of these services.